I think that the filtration design of the Fluval Spec series of aquariums is pretty ingenious – a simple overflow and filter media section that flowhttp://spec-tanks.com/wp-admin/edit.phps to the bottom of a pump section. Then an outlet tube from the pump up to the discharge nozzle into the tank. 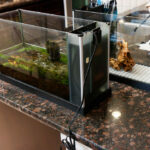 It is a setup that mimics the custom designs of larger aquariums and generally works very well. There is one aspect of this flow pattern that can be a disadvantage and that is an area of ‘dead’ water located in the pump section. This may or may not be a problem depending on your setup. I tend to think you want to minimize areas of your aquarium, both in the display area and otherwise, that don’t have good flow. A bigger issue for those, like myself, that want to put a heater in the pump section, is that without proper flow around the heater it will have a very hard time regulating temperature. Unless you have a separate temperature controller with a sensor in the return, most immersed heaters simply detect the water temperature around the heater and turn on and off as it senses the need for heat. 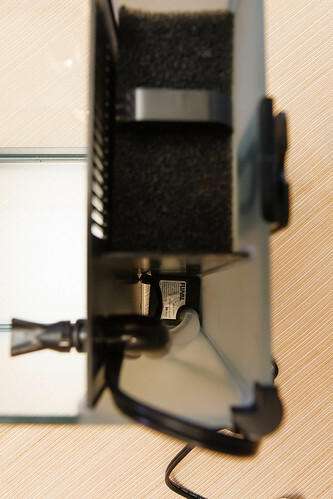 By mounting the heater in the pump section, the thermostat will tend to energize, quickly heat up the water in the very small pump section, then turn off before begin able to raise the temperature in the display tank. One way to alleviate this is by putting some holes in the outlet tube. By placing a few small diameter holes in the outlet tube that rises up from the pump, you allow water to circulate into the pump section. The water will then just flow back down into the inlet of the pump. This reduces the dead water in the pump section. It also gets more tank water flowing around the heater and will help the heater thermostat work much more accurately. Diverting some of the flow through the use of holes in the outlet tube is also a way of reducing the display tank flow rate for those with livestock that don’t like strong current, such as Betta Fish. This is a very easy modification. The hardest part is a bit of planning for where and how many holes you want. I made my holes about 1/8″ in diameter and ended up making about 5 holes. Instead of aligning them straight up the side, I decided to alternate them slightly so that they pointed in different directions around the tube to flow to different corners of the pump section. I marked the planned hole locations with a marker. There are any number of ways to cut the holes. 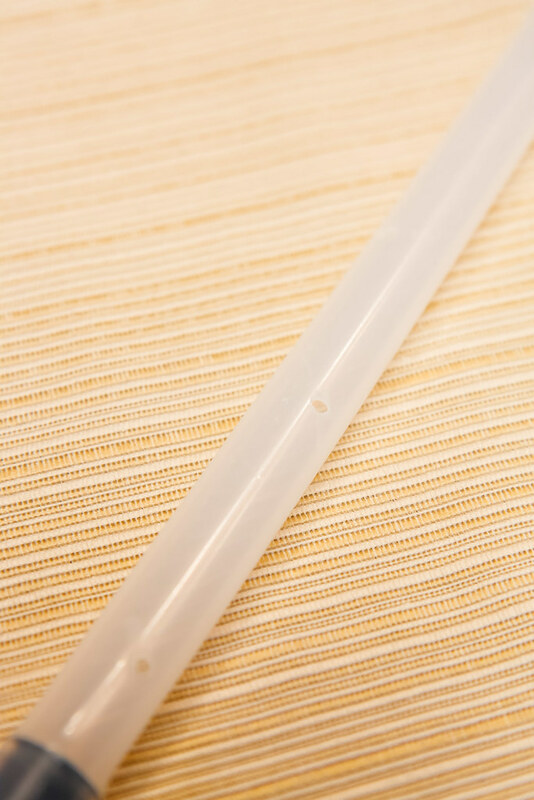 The tube is not rigid and can be squeezed. One method I think would work would be to squeeze the tube flat and use scissors to nip away at an edge. The only thing to be careful of is to try and make the holes the same size so that flow is equal between them. I tried using a drill bit at first and it worked ok, but left some plastic burrs that blocked flow. I finished the job off with a dremel grinding tool that was the perfect diameter. I see only positives for putting a few holes in the outlet tube and can’t think of any negatives. The only possible negative would be for someone that needed the absolute highest flow rate in the display tank and didn’t want to divert any of the flow. The operation of the heater in the pump section worked very well after modifying the outlet tube with holes. The temperature that I measured in the display section was very close to what my Hydor Theo 50 watt heater was set to. Also, I think that there is less detritus buildup in the bottom of the filter and pump sections with the addition of these holes and the flow that they induce. The flow rate in the display section of the aquarium is still quite high even with some of the water diverted (my pump is set fully open for the highest flow) so I don’t see any detrimental effect there. 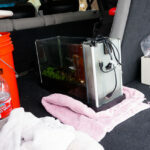 This entry was posted in Spec Mods and tagged aquarium, betta fish, Fluval Spec, heater, spec v. Bookmark the permalink. Glad I stumbled into this. 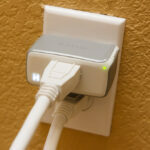 My teanage daughter’s 2g Spec has two major problems: 1) outlet flow is very high — even on the low seting. Her betta was swimming for his life. 2) the pump chamber (which does contain a small heater) goes dry all the time. This is probably happening mostly when the tank is not clean (all the time). I think this mod will solve both problems. I’m going to give it go. Thanks. Look into putting a sponge covering over the outlet nozzle as well – that will knock down the velocity and help the little beta out. I hope to be writing an article soon specific to making the spec aquariums more beta friendly. Hi, Nate. Thank you so much for all the valuable information that you’ve provided about the Fluval Spec III. Has this modification created any overflow (or spilling over) of water gathered in the back compartments of the FSIII? Thanks for stopping by! Caveat: I have not setup a Spec III – I only have the Spec V, but the two have the same filtration system. Caveat II: I never ran the outlet tube without holes so I can’t really compare with the stock setup. However, I’m confident It doesn’t hurt the the filtration abilities much at all. Every week when I perform my water change, I rinse the filter sponge out in old aquarium water and a stunning amount of gunk comes out. It seems very effective no matter if the bypass holes are there or not. The holes don’t affect the water levels in the various sections at all – they all equalize since they are connected. Hard to explain, but trust me you don’t have to worry about the pump overflowing anything. Thanks for the reply, Nate. I’m glad you could shed light on my questions. It’ll soon be setting up my FSIII. Looking forward to it ;-). I’ve just come across the site; thanks for putting it together. I had a simillar problem with the high flow rate from my Spec V. After some experimenting, I found that the JBL Outlet Set Spray Bar 16 22mm and equivalent suction cups will do the job. Remove the original discharge nozzle, so you just have the ball-end. The spray bar fits well enough onto that. You have to reduce the size of the bar slightly (as it’s in 2 parts, just saw the relevant length off) and close off the other end with the one of the U-bendsthat come in the spray bar kit. Hope this makes sense. Richard, Thanks so much for this. I’ll have to look at this solution and maybe add it to the mods section. I know there are many people who prefer the spraybar arrangement. Wanted to add to my question that we are also attaching the pre-filter to the nozzle, if that has any relevance. Thanks again. This is awesome. I’ve been loving the design of the Spec series but couldn’t foot the bill on my budget. My boyfriend found one on clearance and it’s nearly set up! I never would have considered putting my heater in the pump section – incredible idea! No extra cords or unsightly mechanics to spoil the sight! I can’t wait to get into the rest of the project, thanks so much for the modification tips! Glad you guys found a good deal. I love the clean look of the Spec V as well – it has worked perfectly for our family. Do you have a video of how you made the holes? I would love to see exactly how you did it as I am not very handy. I am worried I will just mess up the tubing. I don’t have a video. I hope the pictures help. It is very simple and you can make the holes any number of ways, even just pinching the tube flat and snipping the edge with scissors. 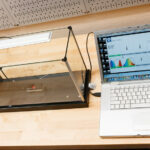 Start small to see how it operates; you can always enlarge later even with the aquarium already setup. Many thanks for the tip. I took it a stage further and cut a section out of the middle of the tube and fitted a T piece which directs flow over the heater. Still have plenty of flow going back into the tank (10 litre) and the Red Cherry Shrimp who live in there seem to like it. Wouldn’t have occurred to me if I hadn’t seen your solution! An inline ‘tee’ – that’s a great idea as well! I have heard of people putting a valve inline between the pump and outlet so that they can vary the bypass water. I think I will try this out and report in the future. Absolutely. It made me nervous too, but the pump is fully submersible and the pump section will be full of water. I wrote an article on placing the pump. I created a third filter chamber by inserting a piece of plastic about two inches from the center divider that went from the bottom of the tank to a bit below the lowest part of the inlet grill for the filter. Now, the water goes through the grill and down into the filter area, over through the lower opening and up past my slimline heater, then over the top of the plastic divider and back down into the third section where the pump pulls it to the bottom and sends it back into the display tank. Now a 10 watt betta heater can keep it at 80 with no problem. There is still a slight film over the pump section but nowhere near what there was. If I were inclined to reduce that, I could probably put a hole in the tube around the surface of the water to create agitation and send the film to the bottom to be sent back to the display area. I’m impressed with your patience in getting all that fit in there. It really wasn’t hard. I have the spec iii so there is extra room. The dollar store has cutting boards that are stiff and thin and I cut a section out of that to make the divider. I used a length of airline tube that I split down the center as a gasket around the whole thing. If you take your time with cutting and fitting the divider, when you put the airline tubing on then it should be nice and snug/watertight. My tank was already occupied so I didn’t want to use sealant to hold it in. The airline as gasket – genius! I couldn’t figure out how you would silicone that in. Thanks for posting that idea – might be helpful in a filter basket that I am dreaming up. I just got a spec III myself and the extra room in the pump section is nice. I used three pieces of airline instead of trying to wrap it around the divider. Just make sure you dry fit everything to make sure it is snug then hot glue the airline to the divider piece… Push it all the way down and done. Measure, cut, fit, measure, cut, fit, you get it. Should you have the pump setting on high if you cut holes in the pipe? 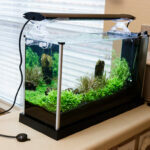 Depends on your situation – everyone’s tank and owner has different needs. Try it on high, but you can always close it off later if you need to. My main worry while I am cycling my Spec III is the temperature. I am using the Coralife thermometer(on the far side of the tank) and it only reads about 78ish. I have the 25w Hydor heater right next to the pump too. My other tank that is currently in use is at or around 80 and Henry is doing great. I have the Hydor cranked up to 83 and it still stays at a 78 reading. So you’re saying with the holes, the water temp in the main compartment should get better? Also, I noticed you put your pump base on the far side away from the filter block. I put mine right up against the divider wall and just brought the tube over to the outlet hole. Would it be ok to move the filter base to how you have it? Thanks and love your site and all the great info! I’ve tried the pump in many orientations – it should be fine however you want. Yes, if you don’t have holes in your flow tube, you will probably not be able to get the temperature controlled correctly if you have the heater in the pump section. Without holes, the water in the pump section is largely stagnant and not moving. The heater calls for heating, heats that very small volume of water to the setpoint, then shuts off. Try with holes and the temperature should start to control better, although you will need to adjust the heater setpoint using trial and error based on readings observed in the display tank. Thanks! I did try it with four holes. Seems like the temp is still staying at around 78.5ish. I also used your advice and put the probe down into the sponge block to get it out of the way. Heater still set on 83, maybe I’ll try turning it up some more…. Yes, The thermostat reading will always be a bit off as the water in the pump section will still be hotter (even with holes and better circulation). Keep experimenting and you will find the sweet spot. I Think I found the answer. 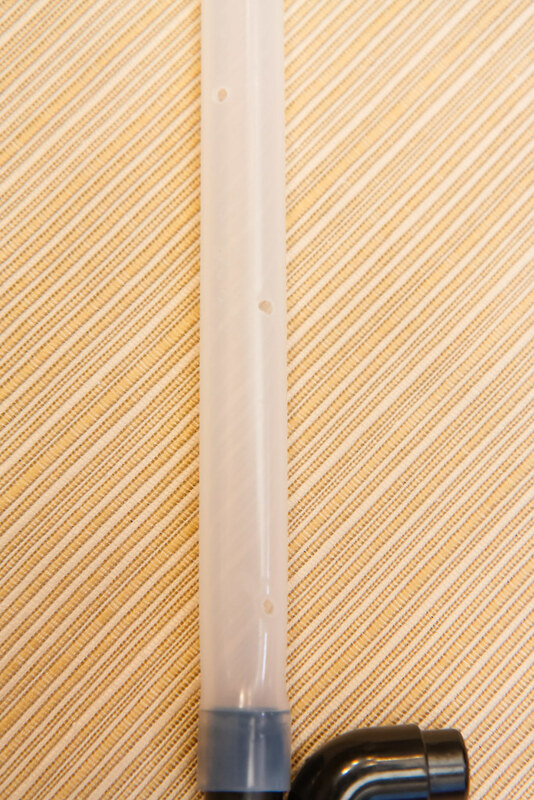 Replacement Flow Tube for Fluval Spec Aquariums (III and V) explains it all. Yes Sir – glad you found it! Here is the link. Hi, just got my tank today Spec V. I cut 4 holes going up in a spiral about 1.5 inches apart. Then for the nozzle I just popped it off and stuck a tiny triangular wedge that I cut off of a clean, new sponge. I can barely see the water moving out of the nozzle and I dropped a piece of food and it took about 20 seconds to get to the other side of the tank. Does that sound good or should I slow the flow even more? Getting a heater tomorrow to put in the tank. Any good suggestions? I’m looking at the Aqueon 10w Mini Heater as I have seen some good reviews but only for a 5 gallon tank. Is there any other suggestions for heaters? I don’t know why you are wanting the flow that slow (for a particular type of fish?). At any rate, I wouldn’t make any additional changes – run with that for a while and see how it works. I have a whole page on heater suggestions. 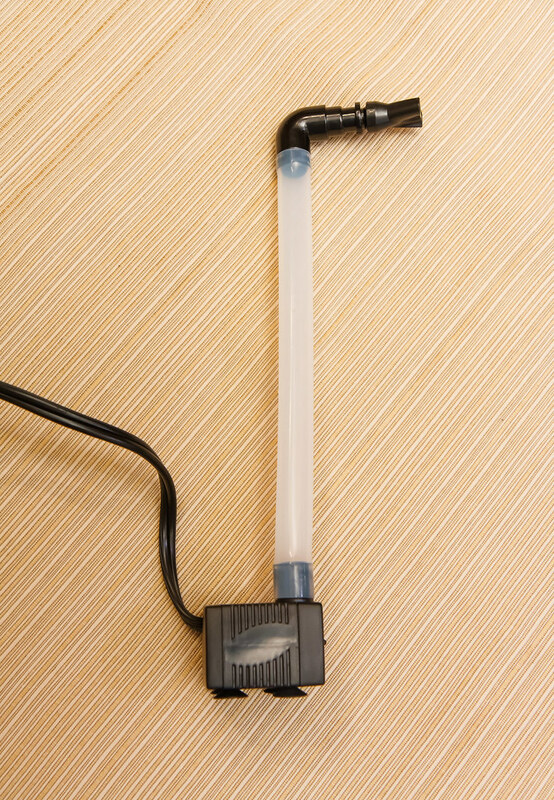 I would not recommend that Aqueon 10w heater (not adjustable, not enough capacities for most climates in a Spec V). Thanks for this page, can’t tell you how helpful this has been. I wanted to get my 21 month old son a “pet” and living in an Apartment in NY a fish seemed like the best option. After reading this post, I took a shot at drilling 1/8th in holes in the flow tube. As you mentioned, the bit just tore the hose, but I did find a great way to clean the holes of those tears. I heated up the tip of the drill bit, and then slipped it in each hole I created. This created a perfect round hole with no tears or debris. A co-worker mentioned using the tip of a soldering iron, to clean up the holes, and I haven’t tried it but I am pretty sure you could burn the holes in the tube as well. That’s inventive and I would not have thought of that. Thanks! Thank you so much for this info. I was shopping for a new heater and was having trouble finding one the right height. By reading your webpage I found out it wasn’t my heater that was at fault. I followed your recommendations for the tube and the temp is just about right on now. It had dropped to 70 and I had it cranked all the way up, it wouldn’t stay on. I am writing though to share my story! I pulled out the heater and the flow tube thing. I hadn’t even started making the holes in the tube yet and my betta flipped himself right into that inch by inch area. It was a very frantic experience! I was going to remove about 3 gal or so of water and then try to pour him into a bowl. But when I started to suction out some water he swam right out of that tiny hole at the top back into the aquarium! He has been hanging out on his hammock for about 5 of the last 6 hours. But, I think he is going to be ok.
Wow – an exciting adventure for your betta! Hope he recovers. I never would have thought about a fish swimming in there. Hi! I thought somehow I’d know if anyone commented. I just searched my history to see what your address was so I could send a question. Gilligan is doing good. But I’m a little concerned. I think I either made too many (4) holes or I made them too big. I can’t tell if the filter is working. There is no flow, the gravel has a fine white dust all over it. When I suctioned some out, it was like household dust. Is there anything safe to cover one or two holes? Is there a place to buy a replacement hose and be a lot more careful with the hole size or number of holes? The heater is working perfectly! Thanks for saving the money on another new heater! Keep up with water changes and maybe the crud at the bottom will clean up over time. Bless little Gilligan – sound like he has a nice place. Ohhh now I see why you poke holes in the tube. You can make the holes easily with a Dremel tool. Get a plunge cutting bit and slowly push down to cut the hole in the tube. Once you’re through, pull it back and forth a few time to remove any burrs. I started with 3 holes. Still too much flow for my Betta. I will add more, one at a time until it is just right. I’m so glad I came across your articles! I just got the Fluval Spec III 3 weeks ago. It has definitely been a learning experience. We upgraded from a small 1 gallon bowl and I have no idea what I’m doing, but it’s fun learning the ins/outs of aquariums. Our female betta is doing well with all the changes too. Today, I poked 3 holes in the flow tube and the seems to be much better for her! The tube looks different that the one shown here. I was able to just use a nail to poke thru it without any problem. 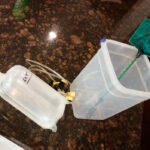 Next tasks, learn how to siphon better and get algae under wraps! Thanks again for all the info!